When Manchester United visited Tottenham Hotspur in the Premier League recently, Sky commentator, Martin Tyler, made reference to Willem Korsten’s winning contribution for Spurs the last time they overcame the Red Devils at White Hart Lane. That was at the end of the 2000-01 season, with Korsten scoring two wonderful goals in a 3-1 success for the Lilywhites as Tottenham finished 12th. To give you an idea of how long ago this was, in football terms, Manchester City were relegated during the same season after a short-lived return to the top flight under Joe Royle. For those without the encyclopaedic knowledge of Tyler, or a fan over 18 of Leeds United or Tottenham, it’s unlikely you would remember the Dutch left winger. Tyler ended the mention of Korsten’s claim to fame in the fixture by calling it a ‘shame’ the way injuries stilted his career. Not just stilted though. Korsten’s career as a professional footballer came to a shuddering halt following the aforementioned highlight of his time in the game. Despite efforts to recover from hip problems that had plagued much of his career, Korsten was forced to retire just a few months after the Manchester United game; his last as a professional footballer. Korsten was only 26 and has since played for a few amateur Dutch sides where he has been able to show glimpses of the ability that first brought him to the English game. At 37, he is now the assistant manager of N.E.C. of the Eredivisie where he began his playing career. Korsten first came to my attention on one of my rare visits from my home in the south to see my team, Leeds, play in the Premier League at the time. 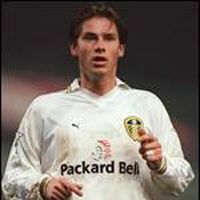 He was on loan at Elland Road after impressing at Vitesse Arnhem and to my then 8-year-old eyes, he was a star. Korsten scored the only goal of the game, controlling a pass from Jimmy Floyd Hasselbaink before firing a shot past Everton goalkeeper, Thomas Myhre, and his frequent runs in behind the defence caused the Toffees all sorts of problems in the game. The recollection I have of him is that of being a classy left-sided midfielder in the mould of another player at the club who was making a reputation for himself – Harry Kewell. A further goal followed in the white of Leeds versus Derby County before he assessed his options at the end of the 1998-99 season. Frustratingly for Leeds fans, Korsten’s impact in the Premier League had not gone unnoticed and he was to follow in the footsteps of David O’ Leary’s predecessor, George Graham, by joining the former Arsenal legend at White Hart Lane. Korsten managed two seasons in North London, amassing just 23 appearances in this time such was his misfortune with injuries. 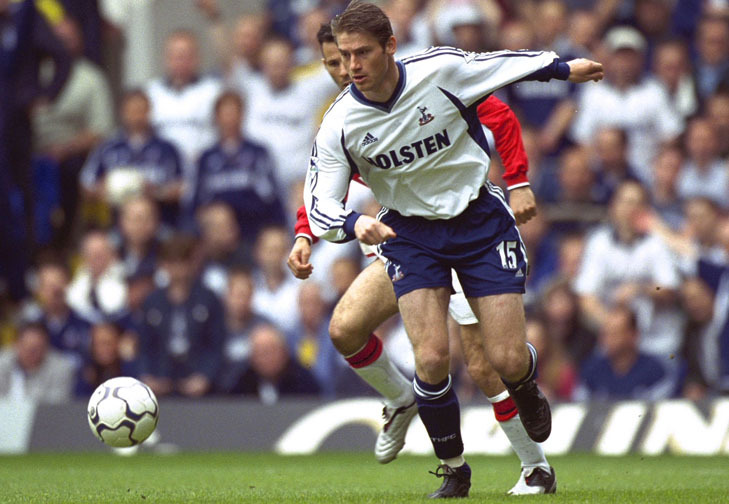 Aside from the brace fondly remembered by Spurs fans, he scored one other time versus Liverpool as Tottenham failed to get much back from their £1.5 million investment. With more luck, Willem Korsten had the ability to become one of the best attacking midfielders in the Premier League. Fate decided otherwise as the league’s other flying Dutchman (second to Marc Overmars with Dennis Bergkamp’s fear of flying preventing him being described with the same moniker) was only able to show glimpses of the quality he possessed with and without a football. As Tyler succinctly put it: Shame. This entry was posted in Obscure footballer of the week and tagged arsenal, dennis bergkamp, george graham, harry kewell, jimmy floyd hasselbaink, leeds united, manchester united, marc overmars, martin tyler, nec, premier league, tottenham hotspur, vitesse arnhem, willem korsten by Andrew Belt. Bookmark the permalink.